What follows is an expanded version of the article I wrote for issue 232 of Furniture & Cabinetmaking. I’d like to suggest two common challenges that beset modern woodworkers at one time or another (and which I have certainly encountered as I immerse myself in woodwork crafts). Firstly, many woodworkers place great stock in traditional techniques or ways of thinking about the craft, and seek to place their work in the context of classic designs and traditions. This is certainly true for me, and I wrote in issue 224 about the personal significance of the heritage and history in hand tool work, and how this shapes the way I approach my craft. And it is undoubtedly important to have regard to the past when we build, but what happens if we are too focused on the woodwork of the past and what the dead guys built or wrote? Is there a danger that we won’t pay attention to the craftsmen and women around us, today, and those that are yet to come? Secondly, is there a propensity to become too isolated in our own workshops, and fail to connect with other crafts people around us? 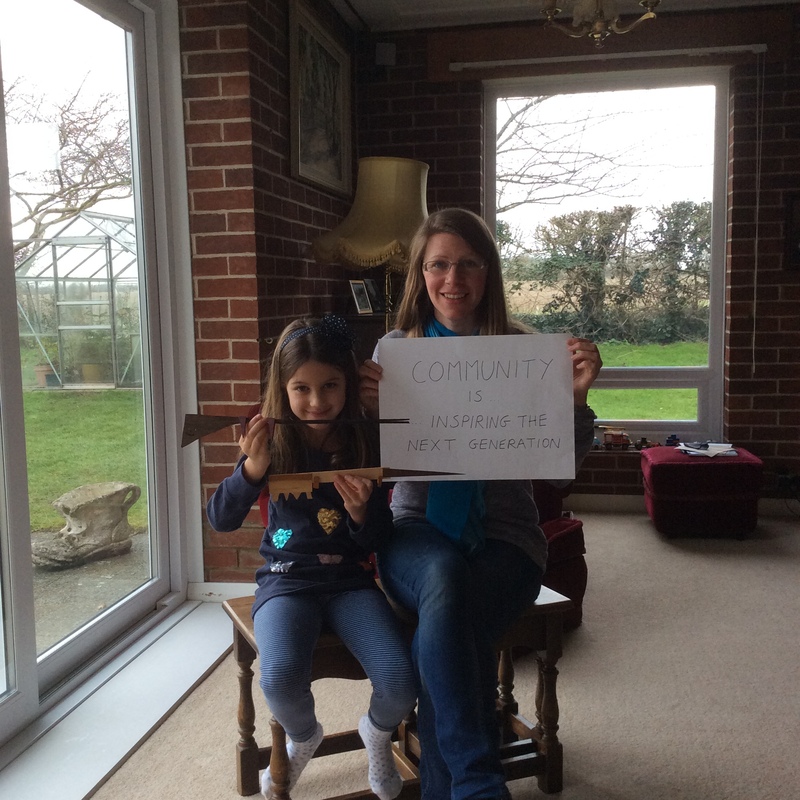 To see our work in the wider context of what others are building? Having recently moved to a new city, this is something that has been on my mind recently, and it has taken me a while to develop local contacts with whom to discuss furniture making or lutherie. Lest this all sound too bleak, I am happy to report that there is an easy antidote to being too focused on the past, and of being too isolated in our respective workshops; the international community of woodworkers. Not a cult (despite the alarming tendency for facial hair in some members), but an expanding network of craftspeople across the globe who in many ways have become a modern substitute for the medieval guilds and the mechanic’s societies that followed. 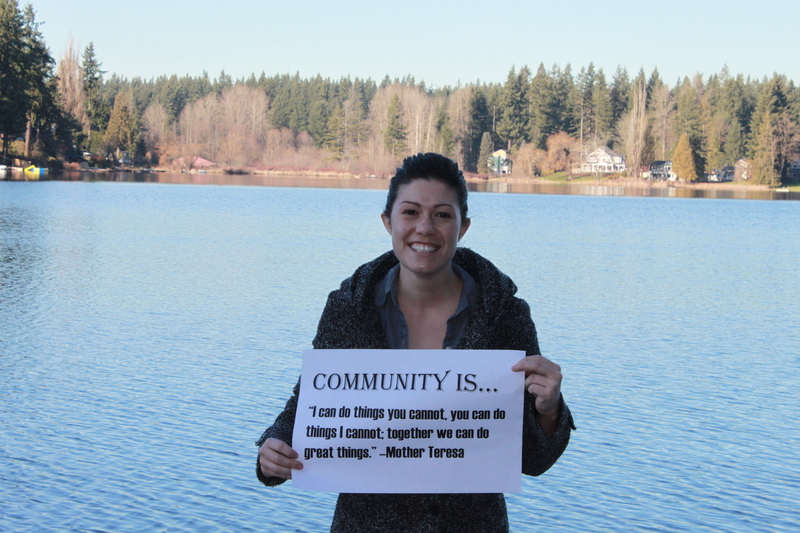 The community is not something I went in search of. But when I stumbled across it, I found woodworkers with a wealth of very different experiences, unified by a passion for the various woodwork crafts, and intent on sharing knowledge and preserving skills. This willingness to share information, discuss experiences, and most importantly, to encourage and inspire each other, is life affirming and so valuable. This is a community that inspires each other to build and to push the limits of our skills, that commiserates over mistakes and celebrates each others’ successes, that shares knowledge and solves those knotty problems which would otherwise keep us up half the night trying to devise ever move complicated solutions. 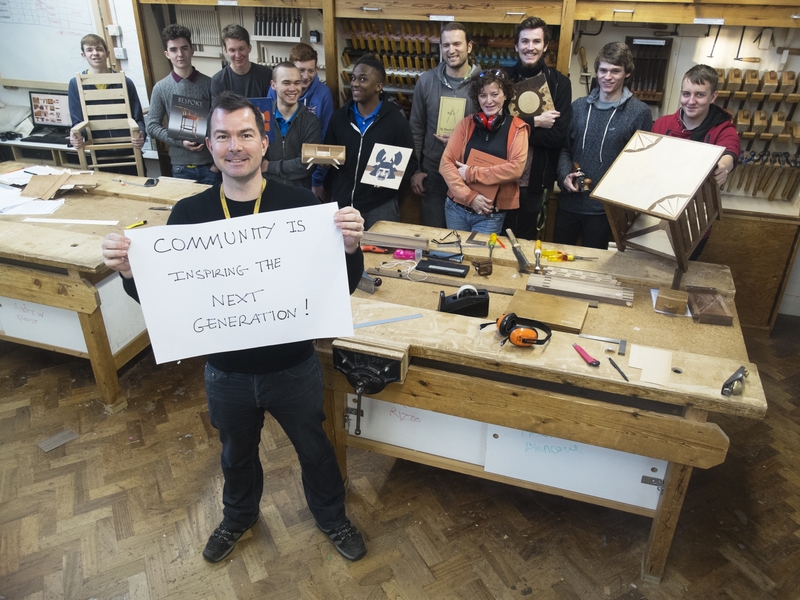 The community doesn’t just work for the transmission of knowledge, but also to enabling new entrants to woodwork. For instance, in 2014 Chris Schwarz announced that he would be delivering beginners classes to young people and made a plea for old or unused tools with which to equip the “junior anarchists” on these classes. Chris tells me that he has been overwhelmed with donations, and is still cataloguing the enormous volume of tools he has received. This is community spirit in action! 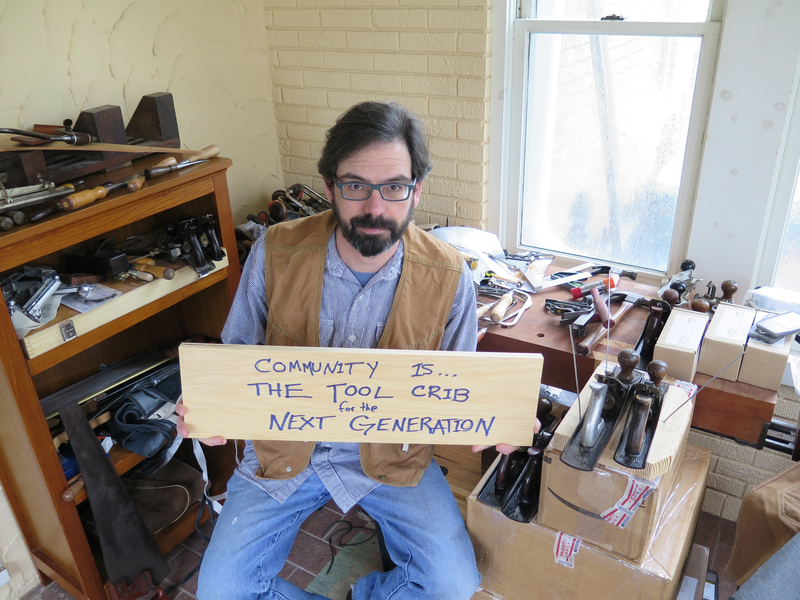 Chris Schwarz of Lost Art Press, surrounded by tools donated for the “Junior Anarchist” classes. 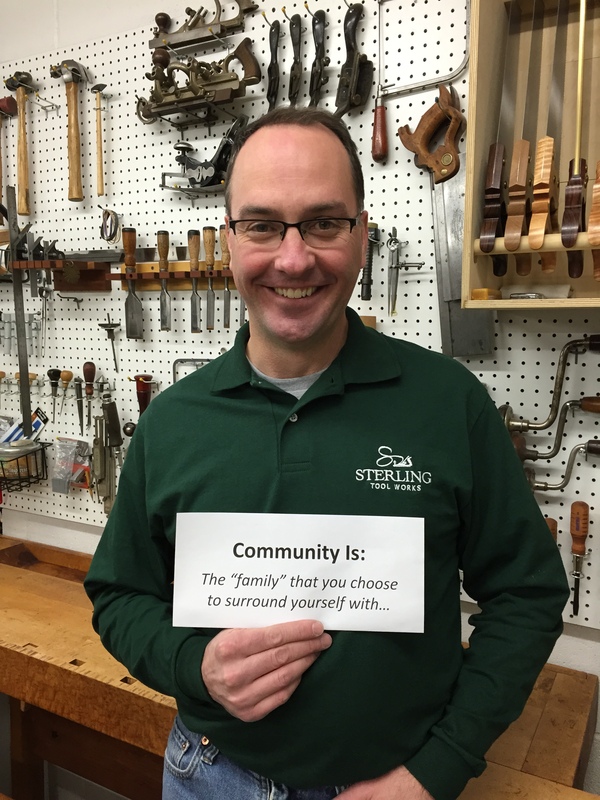 So where do you find the international community of woodworkers? This is actually a lot easier than it sounds. Eight years ago, when I took my first steps in learning how to build musical instruments, I knew only one other luthier and no one, save for my maternal grandfather, who built furniture. Now it seems like new woodworkers are everywhere I look, in large part thanks to the Internet and particularly the advent of social media. So read and comment on woodwork blogs (bloggers love nothing more than receiving comments), or write a blog about your own workshop experiences. A special mention must also go to Instagram, a picture based social network. The ability to upload a snapshot of your work, or what is happening right now in your workshop, gives an immediacy that words alone rarely offer. If you prefer real life contact with fellow humans, then woodwork classes are the perfect way to make connections with likeminded craftspeople (and a great opportunity to develop your parallel skills, as I wrote about in issue 227), either enrolling on a class as a student, or teaching one. Organisations such as New English Workshop offer an excellent range of short courses, while evening classes can still be found at some educational institutions. Crafts and specialist skills always engender a sense of community, and I am not trying to suggest that the community of woodworkers is a new development. But the decline of many educational woodwork programmes and woodwork trade organisations means that traditional crafts based community structures are increasingly obsolete, while the rise of the internet has given rise to a more international form of community. As one person who contributed a picture to this article remarked, the industrial revolution tore the traditional craft communities apart, but the internet has started to put us back together. Equally, I am not blind to the risk of many woodwork crafts dying out, nor of the challenges in preserving traditional skills. 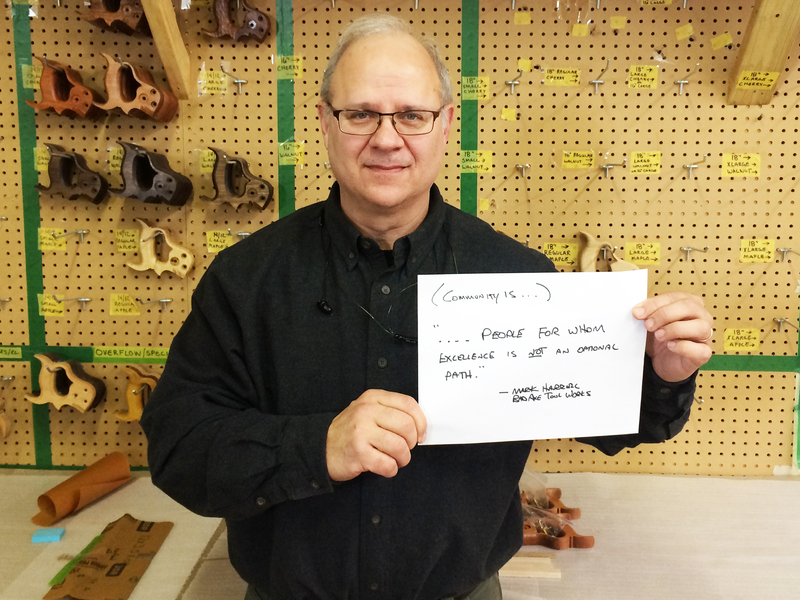 But the more I engage with the international community of woodworkers, the more I am convinced that these risks will be overcome, and the challenges will be met. 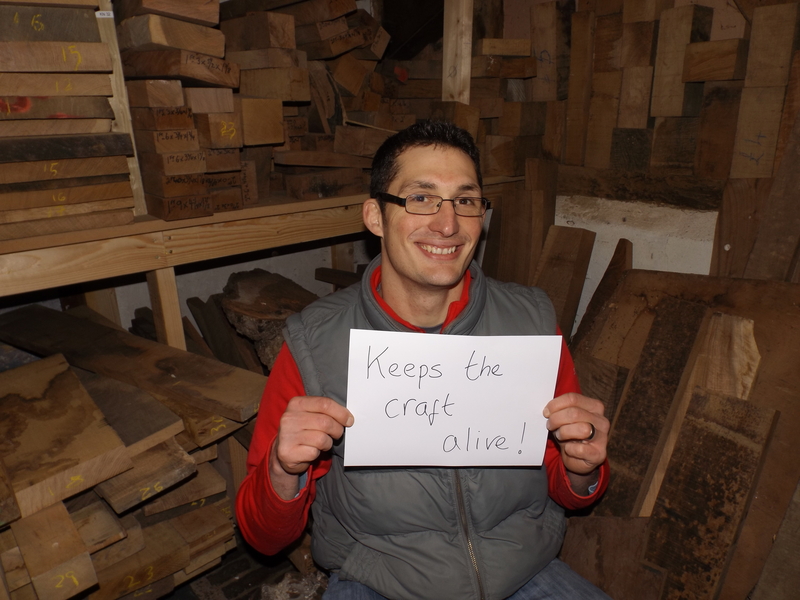 Because under the stewardship of a community which cares passionately about preserving traditional crafts, and does so much to foster an appreciation and enthusiasm in the crafts, the skills and work which we all care about really do have a future. And this is a truly egalitarian community where every contribution, by every craftsperson, is valuable and valued. 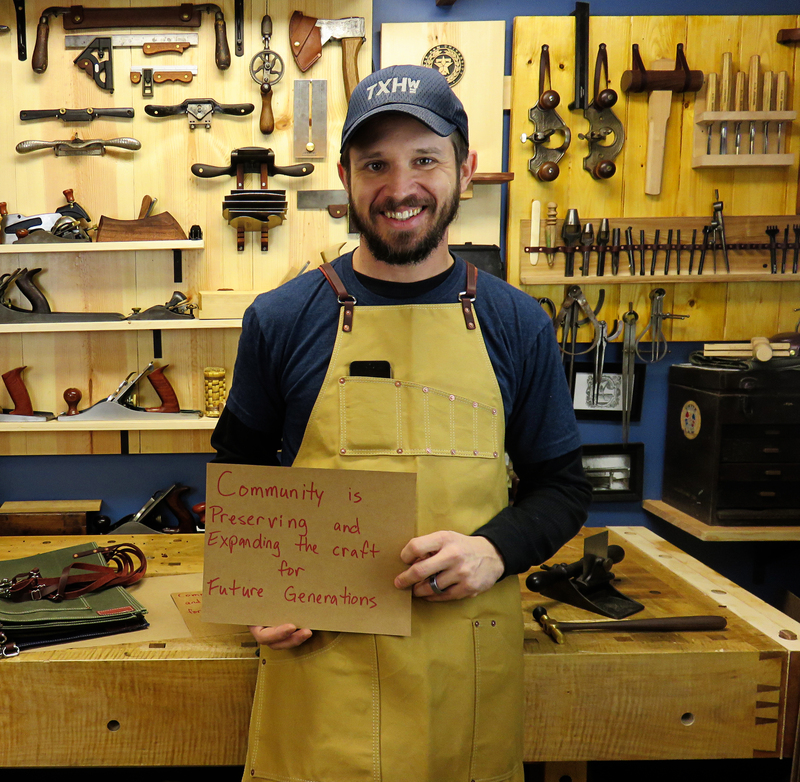 Simply by building something, and talking to other craftspeople and aspiring makers, you can contribute to the community and ensure the preservation of the craft for the next generation. And really, isn’t that what we are all trying to do? This entry was posted in Furniture & Cabinetmaking, Furniture Making, Lutherie, parallel skills and tagged community is by overthewireless. Bookmark the permalink. Great article Kieran! I for one can affirm everything you’ve written here. Over the last year I have learned so much from this virtual guild that it would have taken me much longer to learn on my own. Consequently I’ve saved not just time, but also precious resources in my pursuit of the craft. Such a gift has also certainly encouraged me to want to give back! Glad you enjoyed it, James. I think the other benefit (which perhaps I should have mentioned in the article but didn’t) is the sense of being connected. Humans (most humans, not all) are not solitary animals. And even though I don’t share a workshop space with anyone, thanks to the community we have, I feel connected and like I am with my fellow craftspeople when I am in the ‘shop. Which is a significant difference to my woodworking experience even 18 months ago. Great article. The online woodworking community has really blown my mind. 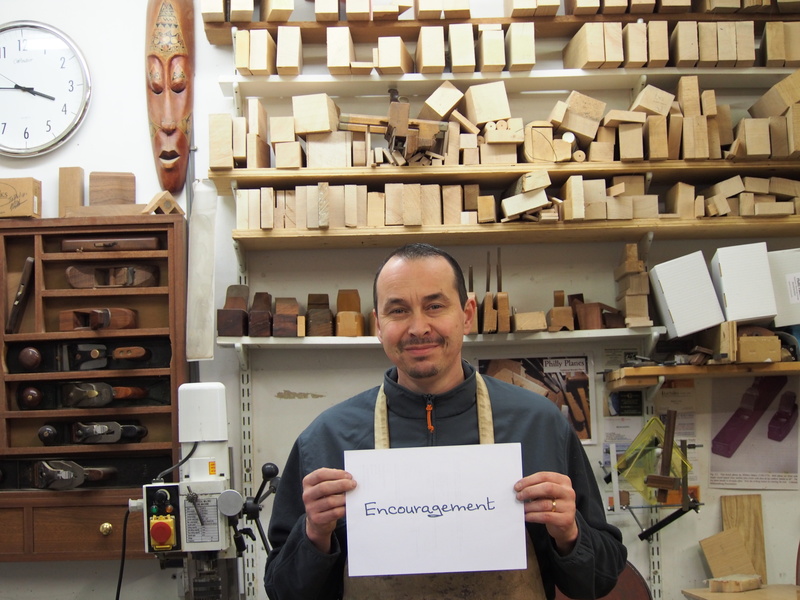 From my experience there is no better humans on the planet than woodworkers, they embody all the characteristics we should strive for: willingly helpful, compassionate, friendly and encouraging.